One of the Triad’s most renowned, challenging — and formerly private — golf experiences is now accessible by the public. 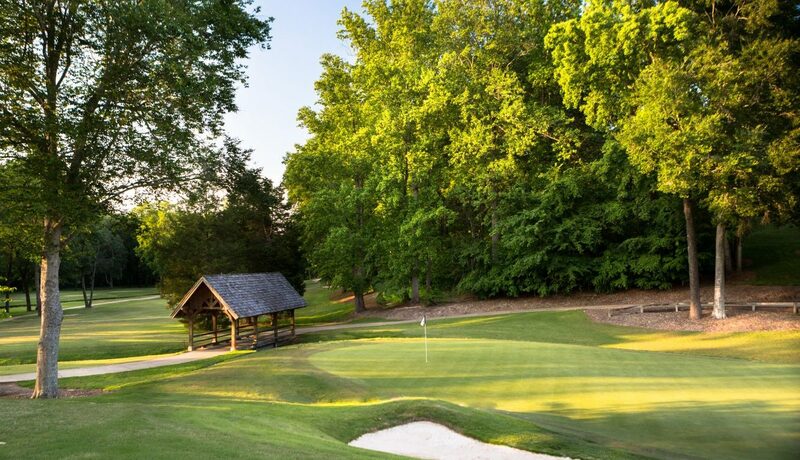 At the beginning of March, owner McConnell Golf announced that it would be transitioning the Sedgefield Country Club Dye Course near Piedmont Triad International Airport in Greensboro into a semi-private facility. McConnell Golf also restored the course’s original name, The Cardinal by Pete Dye. McConnell Golf Triad Membership Director Chad Flowers said that by opening a limited number of daily tee times for the public to enjoy the Dye-designed layout, McConnell Golf is able to accomplish two of its ongoing goals: growing the game of golf in the community, and continuing to provide an outstanding private club experience and value for its members. This is not McConnell Golf’s first foray into non-private golf. The Raleigh-based company owns a dozen 18-hole, private golf courses, one semi-private and one nine-hole course throughout the Carolinas and Tennessee. 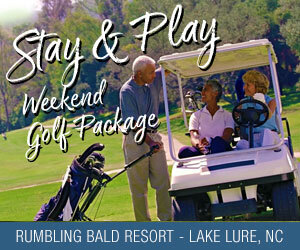 McConnell Golf also manages the Grande Dunes Members Club and Ocean Club in Myrtle Beach for LStar Ventures. In 2016, McConnell Golf signed a 10-year lease to operate the 27-hole Raleigh Golf Association (RGA) course. At The Cardinal, as it does at RGA, McConnell Golf will bring its customer service model to the semi-private market to help separate them from the competition. The original concept of “The Cardinal” was to be an 18-hole championship golf course and clubhouse that would serve as a “men-only” facility, with women and children utilizing a nine-hole golf course known as The Azalea. As often happens with such grandiose plans, however, The Azalea nine never came to pass, and The Cardinal became a family country club replete with everything from a swimming pool to tennis courts. One plan that didn’t change was the golf course achieving its broad-shouldered, championship status, as evidenced by the club hosting a number of high-profile events during the years, including the North Carolina Open (1983, 1984) and North Carolina Amateur Championship (1981, 1982), along with the North Carolinas Women’s State Open Championship (1993, 1998), the Atlantic Coast Conference Championship (1988), and a host of regional and national junior championships. The renowned Cardinal Amateur Championship was played there from 1978 until 2017. Yet despite the outstanding reputation of the golf course, money difficulties hounded the club. In the spring of 1977, Northwestern Mutual Life Insurance Company acquired ownership of The Cardinal Golf Club. Eight years later, the club was bought back by its members; but two decades following its member takeover, The Cardinal found itself facing a watershed moment: The irrigation system had gotten old, the greens were in bad shape, the membership numbers were down and the golf course in general needed an expensive facelift. In 2006, McConnell paid $1.7 million for the cash-strapped Cardinal and poured in nearly $5 million in renovations to the clubhouse and golf course, most notably hiring Dye to return and fully restore his original design. Construction on the golf course began in the summer of 2006 and continued for 13 months. Bunkers were added or repositioned further down fairways. Green complexes that were once slow and bumpy became heavily contoured, smooth and slick, thanks to a new irrigation system. The best example was the par-3 12th, which originally measured 160 yards across a lake. This time, Dye moved the tee box around the lake and stretched the hole to 220 yards, with water still coming into play the entire length of the hole and behind the narrow green, and earning high praise from the man who designed the treacherous par-3 17th at TPC Sawgrass. In 2013, McConnell Golf streamlined operations with the merger of The Cardinal and Greensboro’s Sedgefield Country Club, which McConnell Golf has owned since 2011 and which annually hosts the PGA Tour’s Wyndham Championship. As a result of the merger, McConnell Golf did experience some improvement to its bottom line. Yet, McConnell Golf still found itself with an underutilized golf course and a need for further improvement to the financial position of the property. They found that the current level of golf members did not generate enough rounds to sustain operations. With its recent announcement, McConnell Golf opens up The Cardinal tee sheet for non-member play. McConnell Golf also announced that all members would have preferred access to the tee sheet, allowing them to secure the same prime times to which they are accustomed. McConnell Golf will continue to sell Dye Family Golf memberships for The Cardinal. In addition, head pro Chris Terry and his team will continue to offer a full calendar of golf tournaments, events, and programs throughout the year that are available exclusively to members — including Full Golf members who have access to all McConnell Golf properties, existing Dye Family Golf members and any new Cardinal memberships. These programs will not be open to non-members.